Having a dog is an experience few can resist. From just a companion to a service dog, there are plenty of options for you to pick from. If you are a first-time owner and have decided to adopt from a shelter, GOOD for you! Just make sure you're prepared for this new adventure that you're jumping into by following these first time dog owner tips. Adopting a dog, no matter what age, is a big responsibility. You're going to be responsible for the feeding and daily care of another living being. It's something that you should take lightly. In fact, it's best to do a lot of research before bringing your new canine companion home. 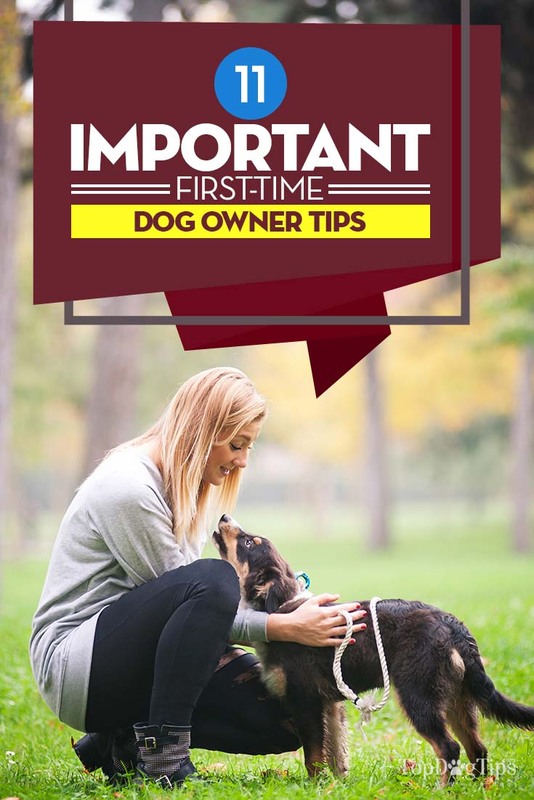 Following the best first time dog owner tips isn't going to cut it. For starters, what breed of dog will best suit your family? Will a small or large breed be best? Do you want an active dog or a snuggle bug that will lie with you on the couch? Once you've chosen a breed that you think will fit in nicely in your home, it's time to prepare for your new pet. Figure out what responsibilities will be involved in his care and who will perform those tasks. Discuss the new addition with your entire family and make sure everyone understands what is involved in caring for your new friend. Consider reading some books. Literature on dog training, basics of grooming and key dog health/care will be extremely helpful for new first time dog owners. From training to grooming and feeding to exercise, your dog is going to need a lot of proper attention. Are you sure you're ready for that kind of responsibility? If so, these first time dog owner tips will make things a little bit easier for you and your new furry family member. Your new companion will need to get used to you and how you do things in your house. Your schedule during the day changes when you have a dog. Your dog will need time to be potty trained on a schedule for your home. Generally, four times a day is good – a walk first thing in the morning, after meals, and before bed. Puppies need much more attention than an older dog. It will take time and patience on your part to help him out in the strange surroundings. He needs a couple of weeks to really get into the new home and scheduling. It is possible that he will not touch his food for a couple days- don’t worry, he will not starve himself! If he is nervous, (and they can be in a new place) you might want to give him treats. Show him you are the bringer of all things good. You have been taking him out for his walks and feeding him so he should have gained your trust. One of the best first time dog owner tips to listen to is to take your pet to a vet for a checkup. Your vet will want information about your dog. Sometimes this isn’t possible if you get your dog from a person. It is good to have a history, whether you have a puppy or grown dog. Shots, worming, heartworm tests and medication are good things for your vet to know. Sometimes you have no records and your vet has to start over again. Do you have any records of his shots? Your vet will be looking the dog over, and possibly taking blood for the heartworm test. What happens next is dependent on whether you have records for him. You should discuss spay/neuter with him if this hasn’t been done. One good thing about getting a dog from a shelter is that they are generally ready with all their shots and tests. You will get copies of this information when you go home. Taking a puppy to the vet for the first time is similar to bringing an older dog. The difference is that you may only have records of his puppy shot, or this is his exam and the start of his shots. Puppies get their shots for diseases and rabies in a schedule that your vet will give you. He will check his stool for worms as well. A healthy pup is a happy pup! Puppies can be great, don’t get me wrong there. They are cute and sweet, but they need lots of care. Shots, vet visits, socialization with other people and dogs so he learns how to act with others. As well as walking nicely on a leash. Puppies also need to be potty trained! This can be a challenge when you are busy with work and other things. You need to be vigilant and watch for signs of restlessness. It is a good plan to take the pup out after a nap, after playing, after eating, first thing in the morning and last thing at night. Don’t forget toys for those teething moments! Another of the most important first time dog owner tips is to invest in a crate. Your Fido will also need a place where the pup can be secure when you aren’t there to watch him. A small room with paper on the floor or potty pads and toys to keep him occupied. Puppies should be crate trained too. It keeps them safe and they have a secure place, like a den to go to if they want to sleep in it. When it comes to feeding your dog, and treats for good behavior, you can follow the guidelines on the bag. An adult dog is best fed twice, morning and night to avoid bloat, especially in a large breed dog. You can get suggestions from your vet or friends with dogs. One tip to remember is that you should not continually change foods, as this will train your dog to be a picky eater. Try changing to a grain free food, and make sure he is flea-free since this is also a source of itching and scratching. Should your dog seep in my bed? This is a question all new owners think about. It is usually his preference unless you specify his sleeping place with a dog bed or blanket to lie on. It is possible he likes his crate too. Many dogs like sleeping there because of the security it offers, like a den in the wild. If you want your dog on the bed at night, many will go willingly once they are used to their surroundings. Training them to a specific spot will require repetition until he gets the idea of where he should be for bed. Take him to the place where you want him to sleep and give him a toy. He might lie down happily with the toy to occupy him. It will take repetition to keep him there, unless you are giving him a room with a door that you can close. As far as first time dog owner tips go, this one is especially important. Your puppy should not be on your bed simply because they could pee on it, or fall off and be badly hurt. It is best to train a puppy to a crate when he is small and un-house-trained. This too will need a will of iron when he starts crying and whining. You may want to go to them, but do not because he will realize if he makes noise, you will come rescue him. This can take as little as a few days to two weeks depending on the stubbornness in the breed you have chosen. If there are only a few first time dog owner tips that you're going to follow, make this one of them. There are lots of puppy classes and training classes for the dog owner and his dog to look into. Puppy classes are more a socialization class made for puppies to learn how to get along with others. There are also training classes for older dogs to teach basic obedience for the owner and dog. You can also sign up for doggy day care if you work and don’t want your pup or dog alone all day. Dog parks are great for the social dog and owner to meet new faces and play off leash. You could hire someone you trust to walk your dog during the day while you are at work as well. If you are the outdoors type, maybe an agility training course would interest you and your dog. They learn how to go through and over obstacles with a time limit. It is competing against other dogs of the same talents and sizes. It is a social activity for both of you to enjoy. When introducing your new dog into your household, teach the kids to be respectful. They should be respectful of his space and be calm and quiet. There can be a lot of tension with you introduce a dog to your kids. If they are screaming and trying to be all over the dog at once, this will end in disaster for both human and dog! Most dogs will bite when put into a situation like this. They go into a flight mode and if they can’t get away from the chaos, they will bite to get away. This is the time to teach your kids about dogs. Showing they should be handled and enjoyed. Make sure your kids are old enough to be taught the right way to handle your new pet. Very young kids can learn too but will always need supervision. Teach them respect, how to walk up to a dog and not scare or surprise them. Don’t make a lot of loud noises around your dog. If you have had dogs before, great! Then it won’t be hard to enjoy a nice family life with your pet as an integral part of your family. Most dogs enjoy riding in cars and will happily be ready to go out the door with you, but there are still some first time dog owner tips that you'll need to follow when taking them out for a ride. Don’t believe the commercials on TV – your dogs head should not be sticking out the window. The danger of an eye injury is a real thing. Don’t let your pet ride in your lap, or free in the car either. There is a chance that if you are in an accident, your dog will be a projectile through the windshield. If your dog will be riding in your car, it's best to buy him his own car seat or seat belt. You fasten it to your pet’s collar or harness to keep them in one place. In a pinch, a leash looped around the head rests will work. Some people will also use a crate for their pet to travel in. Just be sure that the crate is suitable for travel. Collapsible crates must be properly secured or they may collapse on your pet in the event of an accident. Sometimes it takes a little time and a few trips before your dog gets used to the odd motion of the car. He may get motion sickness and throw up! There are some first time dog owner tips that you can try before giving up. In the case of puppies, they may get sick on the first couple rides. But, the young ones can adapt to riding in a car easier than an adult who hasn’t had much experience. Due diligence is always rewarded when it comes to making sure you can have your dog where you are living. In a home you own things are different than an apartment or rental. Get all needed permissions in writing before bringing your pet home. Observe the laws for your town for registration, and rabies shots. Both are generally required everywhere. Some towns have bans on specific breeds too, so check into this before getting a companion. The last thing you need is having your pet removed because you broke the law. Yes, there are a lot of things to think about before bringing home a new companion. Having your dog will be much more enjoyable if you follow these first time dog owner tips. 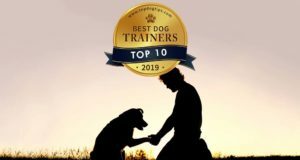 Take advantage of your free time and learn as much as you can about the care that your pup will need and the responsibilities that are coming your way.